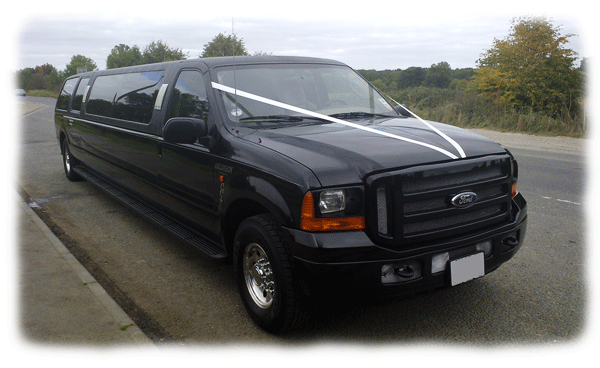 A Class Limousines has a wide range of stretched and non stretched limousines for all occasions. Be it a wedding or just a trip to the shops, A Class limousines has a limo to suit your requirements and at a very competative price. 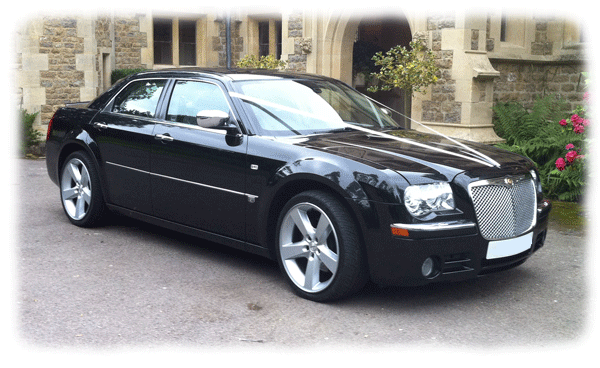 Scroll down and see what limousine suits your needs and then contact us on 07917 016454 for a no obligation quotation. 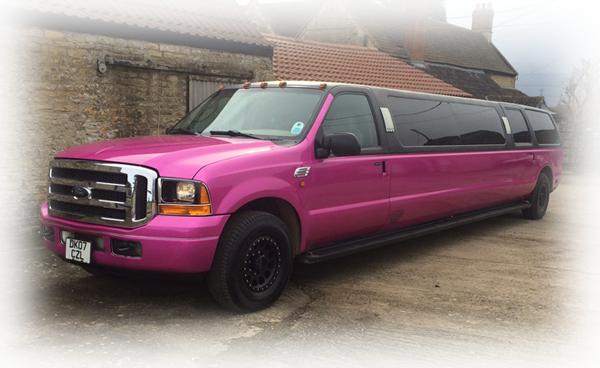 The amazing Pink Strecthed Ford Excursion is a real Bristol and Avon head turner and is fast becoming a popular sight in and around the club scene. The amazing Stretched Ford Excursions are a head turner and is fast becoming a popular sight in and around the Bristol/Bath club scene. Fully loaded with all the comforts and extras you come to expect from your luxury limousine hire experience. 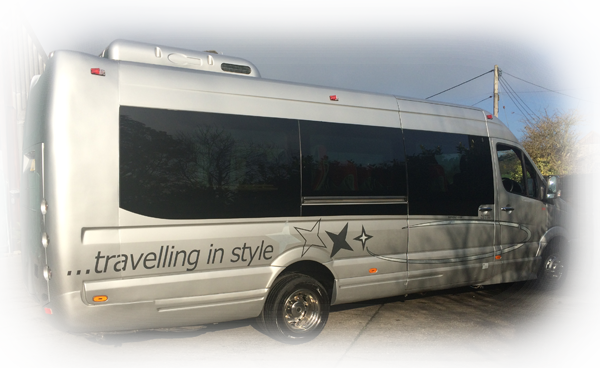 We have a 12 or a 13 seater to get your party started! 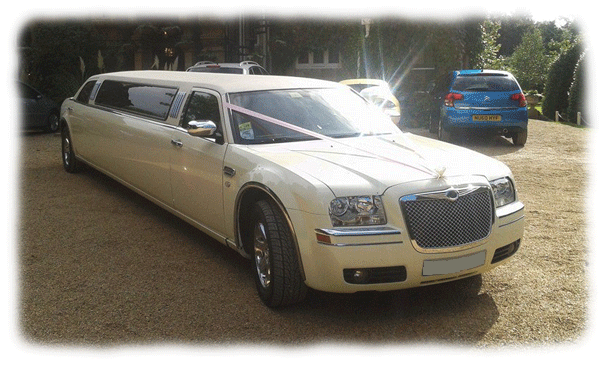 This Ivory Chrysler 300C stretched limo is on our Wiltshire fleet and ready to go! Seating 8 people, this limo has beautifully appointed interior features and all the latest amenities. It’s stunning exterior is equally matched by it sumptuous interior, a real faviourite for weddings this limousine will not disappoint. 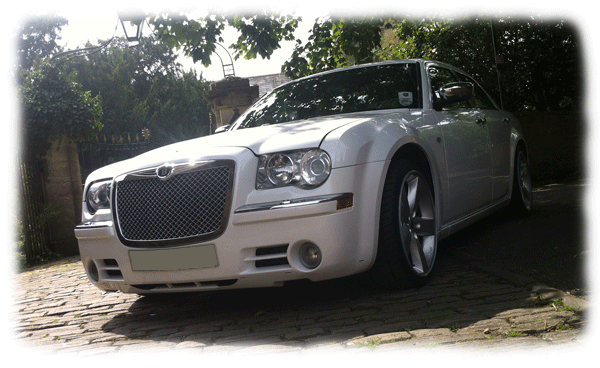 We have a choice of two Chrysler 300C's in Black or White on the fleet. Seating 4 people max , these cars have beautifully appointed interior features and all the latest amenities. They are very comfortable and a popular vehicle from the A Class fleet. Ideal for a bridal car car corporate trip. 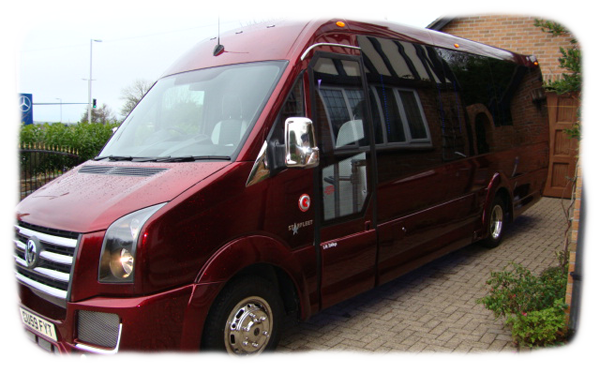 This Minibus is fitted with extras such as tables and a fridge and will transport your party in style and comfort.